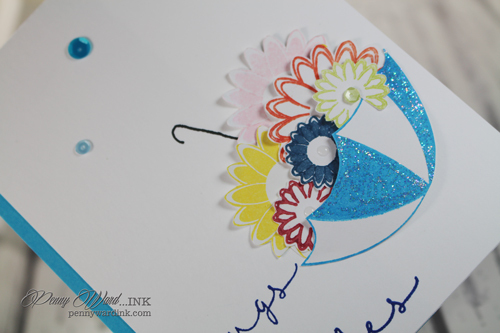 Keeping with April Showers theme, what could be better than no rain and an Umbrella full of posies? All stamps are by Joy Clair. I stuffed the flowers into the umbrella and popped it up a little with foam adhesive. Your 3-d umbrella is fabulous. I love the yellow flower peeking out over the edge. Wonderful card for the challenge. 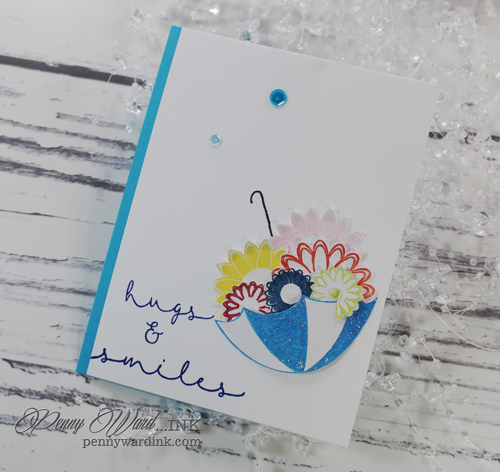 Sweet, fun, and bright card and I really love the sparkle! I’d like to invite you to join my blog challenge this week if you’re interested, which is April Showers!